Have you heard? 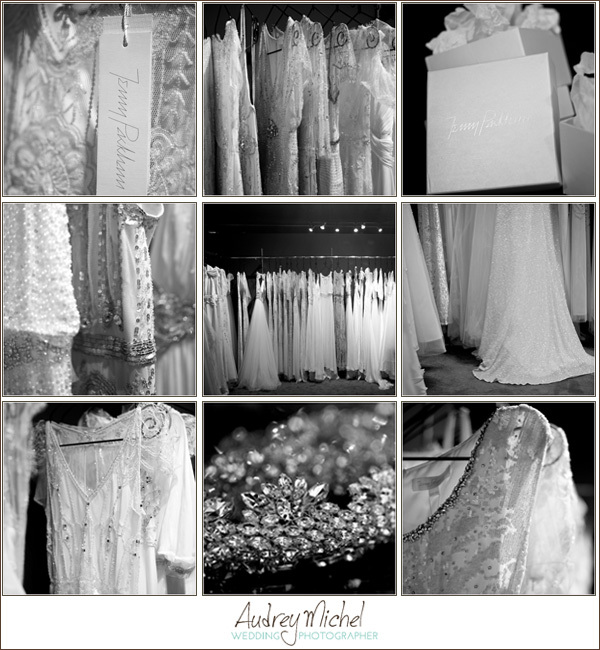 The full Jenny Packham line is at Little White Dress this weekend! It is hard to explain just how exquisite the bead work is on these dresses. The beautiful textures sparkle in the light. Her fabric selection drapes beautifully and feels phenomenal. I came home and told my husband it is a good thing we were married 8 years ago, before I was in the wedding industry…I could have walked out of LWD with a gown in a heart beat. I was even trying to figure out how I could turn some of the off-white gowns into cocktail attire….it could work with the right accessories? Right?? This last image is my favorite. 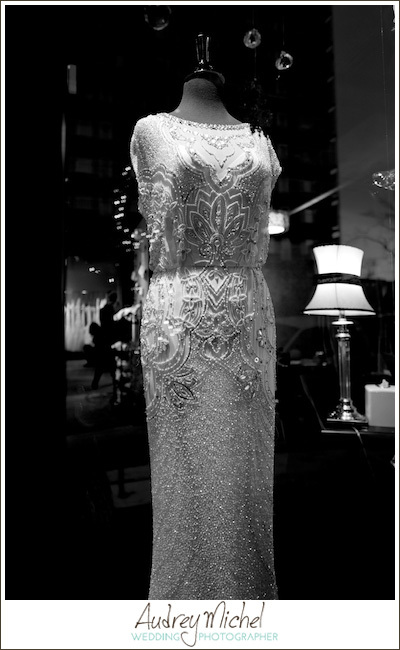 A window shopping view of one of the Jenny Packham gowns. In black and white I think it shows off stunning bead work and elegant patterning. I love that her work is timeless and sophisticated. You could pull off a black-tie, city chic, or even country club wedding in any of the dresses. Seeing all these beautiful gowns makes me excited for the 2014 wedding season! There are so many elegant choices available this year, I cannot wait to see what brides come up with. Here’s to a fashion forward 2014! Cheers to the New Year!